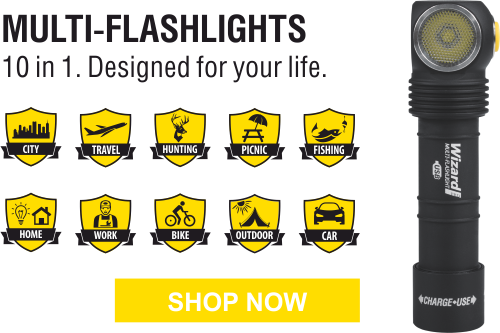 10 years no-hassle warranty on all Armytek flashlights (excluding batteries, chargers, switches and connectors which have 2 years warranty). We will repair or replace, at our option, without charge, any products or parts which are found to be defective under normal use and service within warranty period from the date of purchase with proof of purchase and defect (even if you have purchased it from the dealer). If you do not satisfied with any our product you can return it within 30 days after purchase. You should have the invoice and the product must be in proper condition. To return a product, you should set a request at RMA-service through your account, where you must choose the proper product and the return reason. Include the original invoice for the product and send the package prepaid to us. Please note, in case of product return during 30 days testing period, shipping is paid by customer. We can refund the initial shipping costs only if the return is a result of our error. Monetary refund is carried out in a cashless form through PayPal service to your account or credit card.